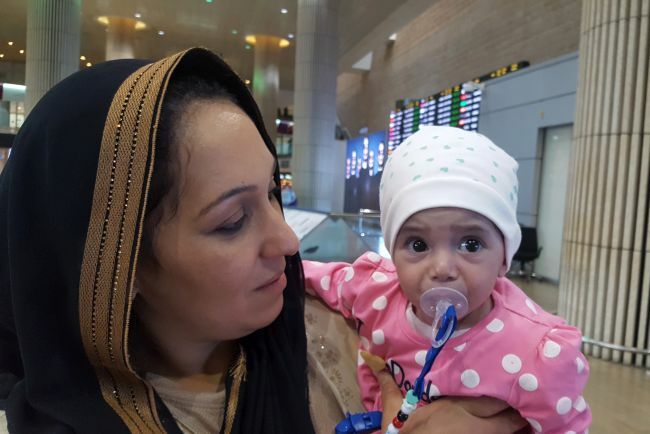 Tre and her mom flew from Kurdistan to Israel early this morning and arrived with Wareen and Nyaz. 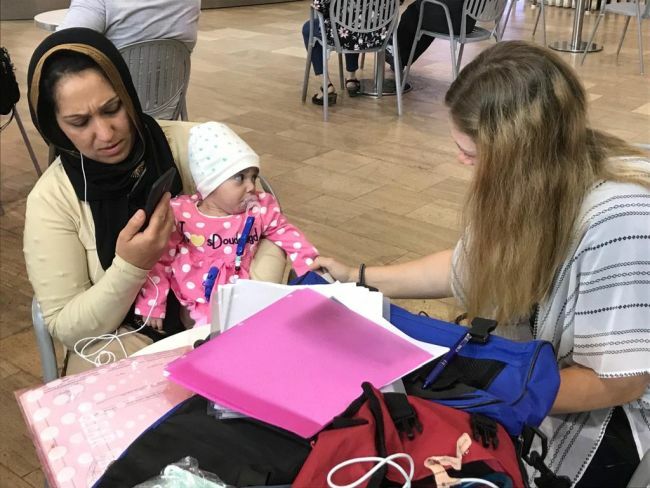 It took some time for them to make their way through passport control and collect their bags, but after a while we saw the group coming out to the arrivals hall. They were weary from traveling and had not slept for many hours, so were happy to rest during the car ride. And upon arrival to our Jaffa house, the group was greeted by Marya’s dad and a bunch of the volunteers. After settling into their new room, mom and daughter have rested much of today. We are waiting for Sheba to confirm initial assessment appointments and are ready to get to know this new family in the mean time. Tre is quite fragile looking with a very fast heart rate and respiratory rate and her oxygen saturation is around 80%. Tre’s mom reports she did well traveling and we praise the Lord for that! We will be jumping into prayer for a successful time ahead for Tre to undergo a full repair and soon have a healed heart.